Virginia hospitals continue to trail the U.S. average in a national patient satisfaction survey, and the momentum of improvement seen in the state in recent years appears to have slowed. Richmond-based Virginia Health Information reports that an average of 71 percent of patients gave Virginia hospitals top ratings in a national survey in 2016, the most recent year with available data. The 2016 Virginia average represents a one percentage point improvement over 2014 and 2015, years in which the state satisfaction rate remained unchanged at 70 percent. Nonetheless, the gap between Virginia’s average and the national satisfaction rate, 73 percent in 2016, has widened from one to two percentage points since 2014. Before the lull in 2015, the state average had made steady improvement, rising from 64 percent in 2009. The patient satisfaction numbers come from a national survey called the Hospital Consumer Assessment of Healthcare Providers and Systems. The survey answers two questions: How do patients rate the hospital overall and would patients recommend the hospital to friends and family? Virginia hospitals again trail the national average on the second question concerning patients’ recommendations. Seventy percent of Virginia patients said they “definitely” would recommend their hospital, while 72 of patients nationally said they would make that endorsement. Many Virginia hospitals, however, won high praise from the patients. Facilities getting good reviews from 80 percent or more of their patients on both survey questions included Carilion Giles Community Hospital in Pearisburg, Virginia Hospital Center in Arlington, Sentara Norfolk General Hospital, Riverside Doctors’ Hospital Williamsburg, Sentara Princess Anne Hospital in Virginia Beach, Inova Fair Oaks Hospital in Fairfax and Sentara Leigh Hospital in Norfolk. In addition, six Virginia hospitals recently have been recognized in the Leapfrog Hospital Survey, for their efforts to prevent medication errors, provide high-quality maternity care and reduce infection rates. The Virginia Leapfrog Top Hospitals are: (among general hospitals) Bon Secours St. Francis Medical Center in Chesterfield County, Bon Secours St. Mary’s Hospital in Henrico County, Johnston Memorial Hospital in Abingdon and Spotsylvania Regional Medical Center; and (among rural hospitals) Russell County Medical Center and Smyth County Community Hospital. Virginia Health Information provides a variety of information about health-care facilities and treatments. The second part of this report (pages 48-53) looks at VHI’s information on the volume of patient discharges for a variety of health-care specialties or service lines in 2016. The charts include data for invasive and medical cardiology, gastroenterology, general surgery, infectious diseases, normal newborn, obstetrics/delivery, orthopedic surgery, psychiatry and pulmonary. Each hospital’s data are compared with the volume of patient discharges in its region. This information essentially offers a glimpse of the “market share” hospitals hold in each region for each service line. For example, Inova Fairfax Hospital holds a dominant lead in Northern Virginia in patient discharges for nine of the 10 services shown. 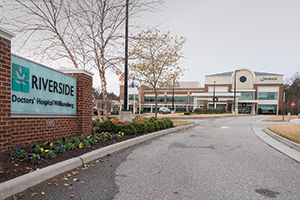 The exception is orthopedic surgery where Inova Fairfax is essentially tied with Inova Mount Vernon Hospital in Alexandria and Virginia Hospital Center.